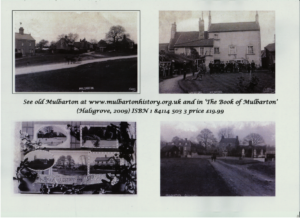 Welcome to Mulbarton booklet: please click here to view. Page 23 has been left blank to enable booklet printing, please check your printer properties to print in this format. Limited copies of the booklet are available from the Parish Office for your neighbours or relatives that do not have computer access or require a larger text version. All details are correct at time of production – if you notice an error or would like to be included please contact the Parish Clerk.